The Natural Soapworks website still accepts orders, but a wider selection of gift hampers, organic aromatherapy cleansers, toners, moisturisers, goats milk soaps, bathing and bodycare are available on our Natroma website. Earn Natroma loyalty points on every order! Our gentle soap and natural skin care products are handmade with care and in small batches, and have been formulated so they manage skin problems. We insist on only using the finest natural skin care ingredients (often organic and fair trade) and expensive aromatherapy grade essential oils. We make sure every ingredient serves a purpose, so our natural soap and bathing products are very concentrated and pure. To this day we still road test everything on our very sensitive skin, and because we're such perfectionists only the best products and ingredients ever make it onto our shop shelves! We hope you enjoy using our luxury handmade goats milk soaps and natural cosmetics, safe in the knowledge they do not contain synthetic detergents, parabens, artificial colours or fragrances. 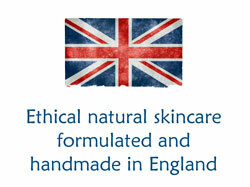 We started The Natural Soapworks because we have eczema and sensitive skin too. Many years ago we realised how important it was to buy quality skincare products, since many so called natural products are full of nasty ingredients. Just one ingredient can cause lots of pain and irritation and because many commercial products contain synthetics, we started to make our own. All of our luxury handmade goats milk soaps, organic aromatherapy cosmetics and natural skincare are all formulated in-house by our Clinical Aromatherapist. Our handmade soap contains organic goats milk made to our own unique formulation, and it has a rich, creamy lather which moisturises the skin leaving it soft and clean. Our goats milk soap is hard and long lasting, and like our natural cosmetics and skin care products is handmade with care and in small batches. All of our goats milk soaps and natural cosmetics were specially developed to suit troubled skin types, so are ideal for anyone who suffers from itchy, irritated skin after using commercial skincare products. We're completely opposed to any form of animal testing. We hand pick our suppliers to make sure our ingredients are cruelty free. We're part of the Humane Cosmetics Standard operated by Cruelty-Free International so you'll see the official Leaping Bunny Logo on our packaging. We present our handmade cosmetics, goats milk soaps and skincare products in luxury hamper boxes; perfect gifts for birthdays, anniversary's and at Christmas. We only use sustainable palm oil to ensure our goats milk soaps are 'Orangutan Friendly'. From our premises at the Ruskin Glass Centre in Stourbridge in the West Midlands, we hand make beautiful organic aromatherapy soap, bath bombs, bath melts, bath salts and milks, facial cleansers, moisturisers and serums, butter balms and lip balm. 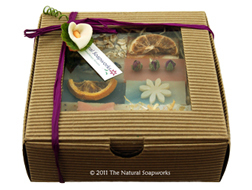 Our handmade aromatherapy soaps and natural skincare gift sets are perfect for Birthdays, Mothers and Fathers Day, Anniversaries and Christmas. So pamper yourself or treat friends and family to some really natural handmade goats milk soap, bathing gifts and skincare! Our handmade natural goats milk soaps, bathing and skincare products have been safety tested and fully comply with the requirements of the EU Cosmetics Directive and subsequent European Regulation (EC) 1223/2009. We're confident that once you've tried our handmade goats milk soap, natural cosmetics and botanical skincare products, you'll agree they're worth the time, care and attention we put into making each and every batch. Be kind to your skin with The Natural Soapworks. Visit our newer website Natroma aromatherapy skincare! 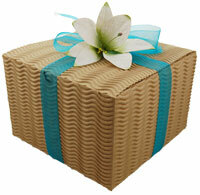 Our natural skincare blog gives latest news/offers.